[PDF] Manual of Dietetic Practice | Free eBooks Download - EBOOKEE! 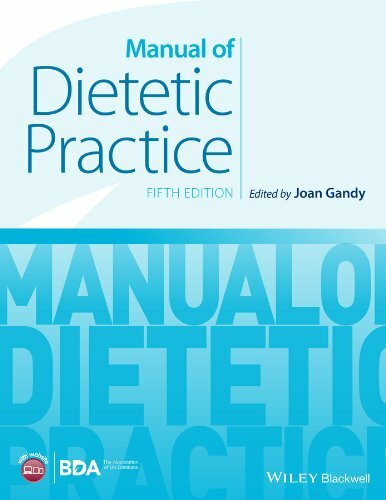 Description: Since publication of its first edition, Manual of Dietetic Practice has remained an essential guide to the key principles of dietetics and a core text for healthcare professionals looking to develop their expertise and specialist skills. Published on behalf of the British Dietetic Association, the UK professional body for dietitians, it covers the entire dietetics curriculum and is also an ideal reference text for qualified practitioners. The book has been extensively restructured for its fifth edition and is now divided into two parts to make it easier to locate key topics. The first part covers professional practice, nutrition in specific groups, nutritional status and nonâ€“clinical areas of dietetic practice, while the second focuses on clinical dietetic practice, including nutrition support, and dietetic practice in individual areas of disease, from respiratory and renal disorders to mental health and palliative care. No comments for "[PDF] Manual of Dietetic Practice".